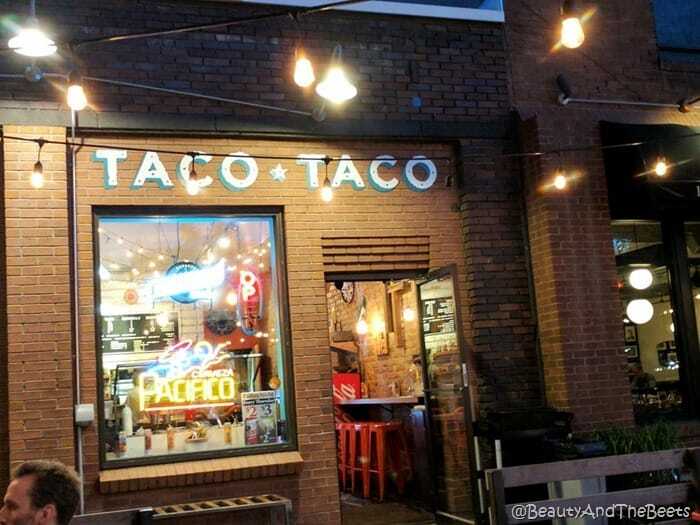 There are so many small eateries all over Salt Lake City, local owners and unique foods making Utah a real foodie destination. 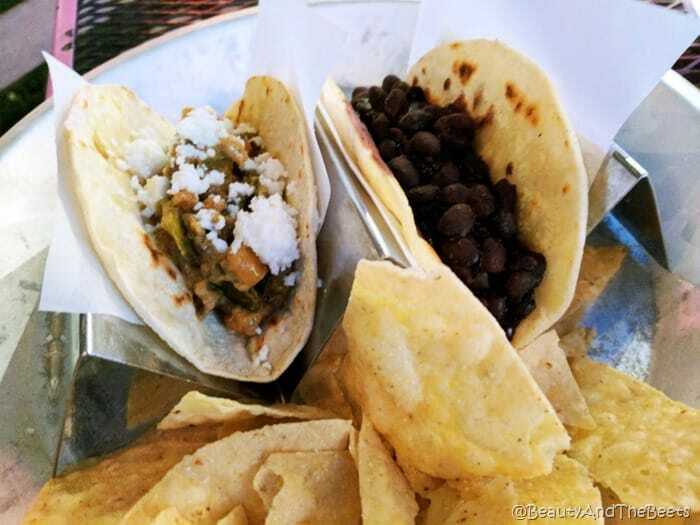 One of my favorite places we visited on a recent trip was a tiny spot called Taco Taco, and they specialize in all things Mexican. What caught my eye was the Vegetarian options on the menu. 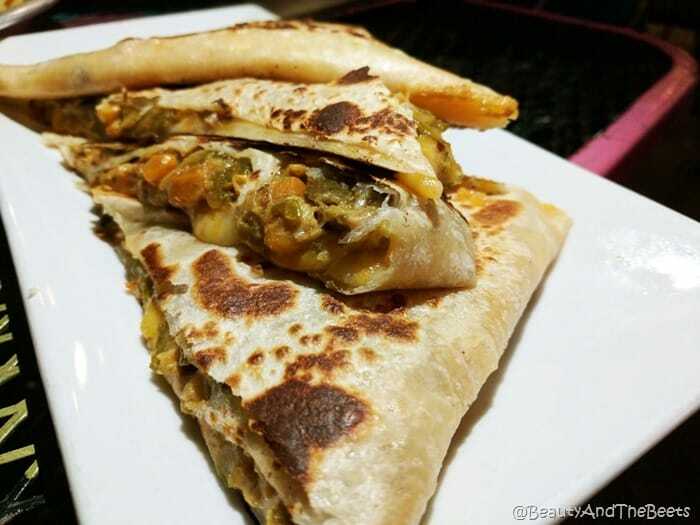 Ingredients included black beans and squash blossoms, which could be created into a taco, quesadilla, or burrito. 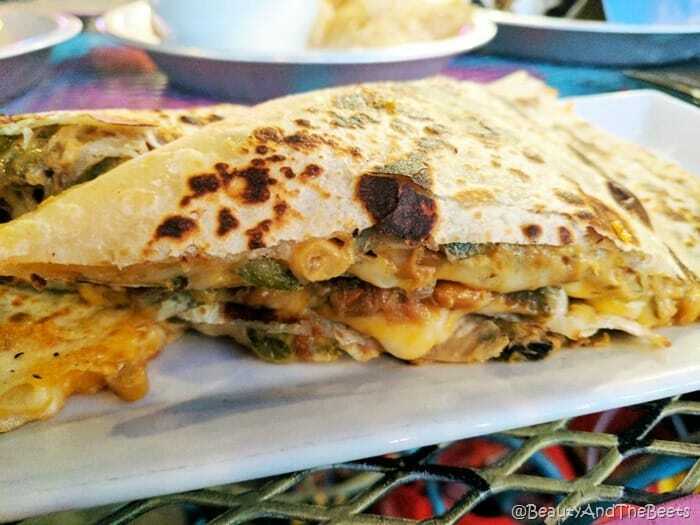 I went for the squash blossom quesadilla and it was amazing. If you aren’t familiar with squash blossoms, they are the edible flowers that grow as part of the squash plant and come in a variety of shades like yellow and orange. And they are delicious. Especially when mixed with spices and cheese. Mr. Beet also ordered the squash blossoms, but in a taco. He also ordered a black bean taco and with each item being under $3 a piece, it was not only cheap, but delicious. 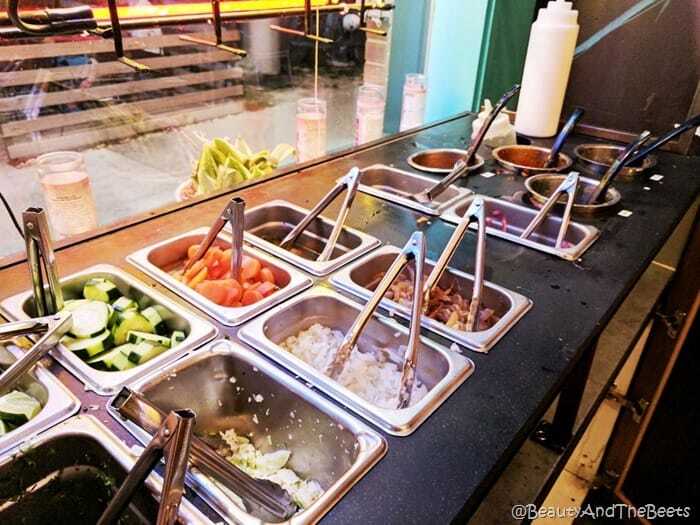 Taco Taco has a taco fixins’ bar with onions, jalapenos, and variety of house made salsas. 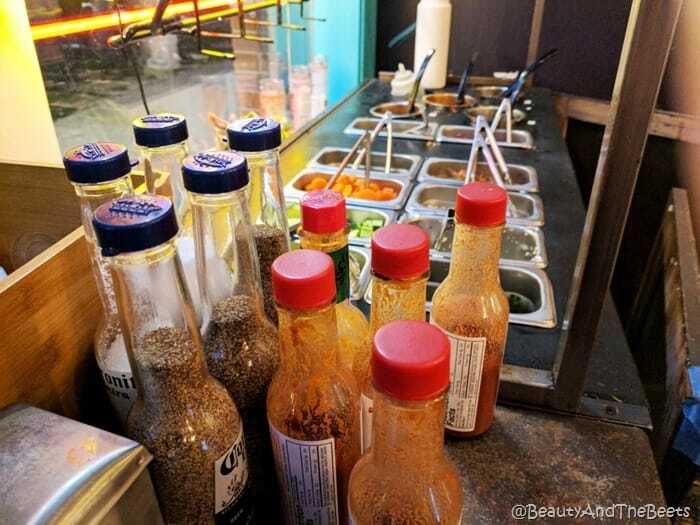 And of course there’s plenty of hot sauce if the peppers aren’t spicy enough for you. We had also tried the guacamole with tortilla chips. 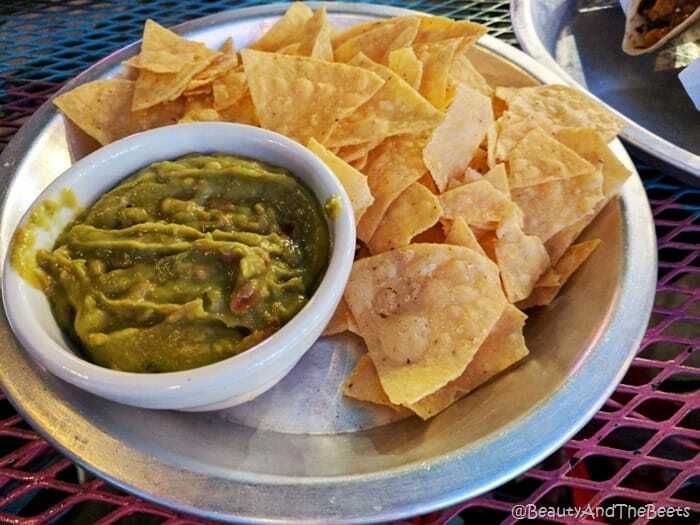 The guacamole wasn’t as chunky to me as I would prefer but it was still flavored well, and again, at $5, it’s a cheap and satisfying appetizer. And don’t forget to spring for the mint iced tea, it’s refreshing with the spicy tacos. 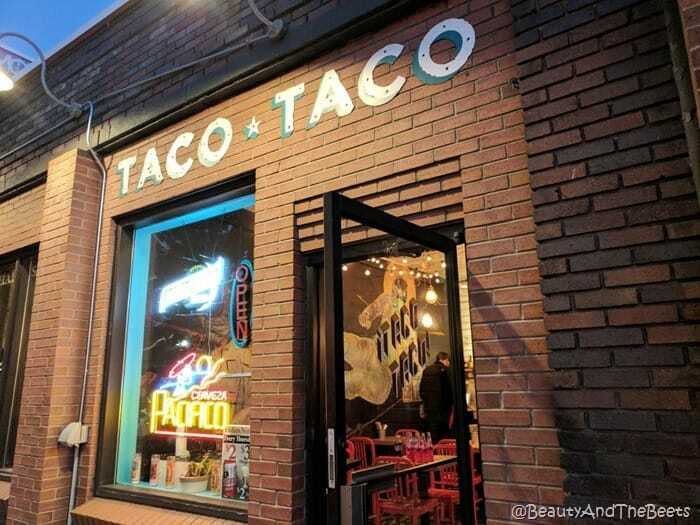 Taco Taco is a great place if you want a cheap but flavorful meal in Salt Lake City. The atmosphere is festive, the kind of place you want to sit outside in warm weather and enjoy a house margarita. 5 out of 5 sprouts.